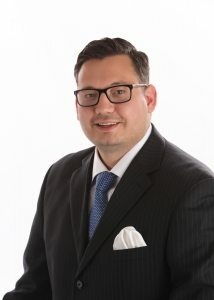 Working to protect the civil rights of individuals, Ryan M. Paulus represents clients in a variety of contexts, including discrimination, retaliation, sexual harassment, whistleblower, consumer rights, personal injury, severance, and wage and hour disputes. Ryan’s confidence, perseverance, and attention to detail are invaluable to furthering his clients’ cause. Handling both large class actions and individual matters throughout his career, Ryan has developed a record of success in significant and complex litigation and has received multi-million dollar jury verdicts and recovered millions of dollars in settlements for his clients. Ryan Paulus represents both Plaintiffs and Defendants in a multitude of employment law matters. Ryan is also a combat veteran who served with distinction in Afghanistan, earning both the Bronze Star Medal and the Combat Action Badge before resigning from the military at the rank of Captain. Ryan has received one of the largest jury verdicts for discrimination in the history of the state of Missouri and has litigated hundreds of individual claims and class actions winning in excess of sixteen million dollars for his clients. Perfect 10.0 Rating by AVVO. Publishes on a regular basis at kansascityemploymentlawyer.blogspot.com on current issues affecting employee rights.